In various workshops, stakeholder meetings and conferences the challenges, value propositions and business cases of Building Information Modeling and Materials Passports have been elaborated and are now shared with motivated stakeholders in the building sector. 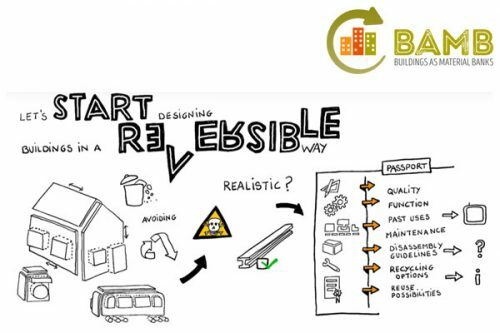 The Circular Supplier Community Workshops give suppliers and interested actors along the building supply chain the opportunity to gain information about best practices and the advantages of Materials Passports, Circular Buildings & BIM! The workshop coved keynotes, a podium discussion and practical workshop sessions regarding the BAMB project, upcoming EU directives, Building Information Modelling, Materials Passports as well as the Materials Passports Platform and other data bases. Participants were BAMB stakeholders, suppliers of building products and interested parties in the building sector. Costs: Participating in the workshop (including catering) will be free of charge, but limited. Therefore an early registration is recommended.